The latest Humble Monthly Bundle has gone live, and November’s early unlocks include some real stars. Exquisitely dark Metroidvania Hollow Knight is part of the selection, as is survival horror sandbox 7 Days to Die. But this month’s headliner is Hitman – an excellent game in its own right, but it’s especially worth picking up as we head toward the launch of the sequel. As always, the bundle is available for $12, and you’ll get access to those three titles as soon as you pick it up. A further batch of mystery games will be announced and made available to purchasers on November 2, after the next bundle goes live. If you’re looking forward to the Hitman 2 release date, you’ll likely also want the previous game in your collection. 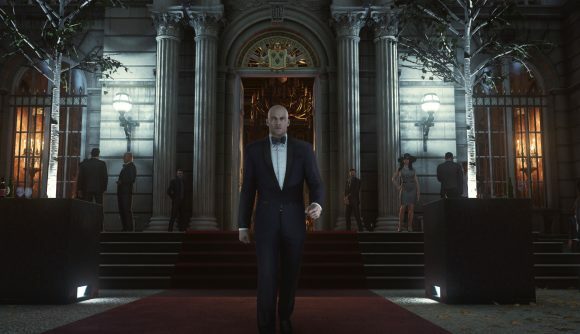 Owners of the original game will get all six maps remastered for free as Hitman 2 DLC, doubling the amount of content available in Agent 47’s next outing. This is the best deal we’ve seen yet for Hitman 2016, so if you’ve been waiting now is probably the time. You can grab the November Humble Monthly Bundle here. For posterity, October’s bundle included Overwatch, Dungeons 3, American Truck Simulator, Gremlins Inc, Hidden Folks, Old Man’s Journey, We Were Here Too, and the exclusives Wandersong and Ollie & Bollie: Outdoor Estate. A Humble Monthly subscription also includes a 10% discount on store purchases and access to dozens of great indies and classics in the Humble Trove collection. Plus 5% of the proceeds go to charity, so you can assuage some of the guilt of seeing your backlog continue to grow.